PetroCard has been in the petroleum industry for over 30 years. Their company mission soundssimple: to provide “More than just fuel.” But what that means is they don’t just sell products. PetroCard provides value added services with their industry experience and knowledge to all their customers. In a commodity driven business, consumers look to prices, but it’s not always price that wins the business. PetroCard offers a variety of fueling prod ucts such as fleet cards through cardlocks and retail stations, on-site mobile fueling directly into vehicles or tanks, bulk fuel contracts to retail stations or large fuel storage tanks and compressed natural gas (CNG) retail stations. 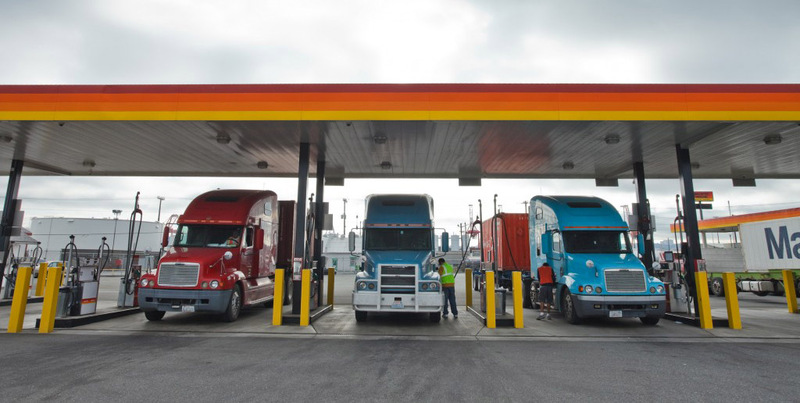 Cardlock is a term not heard often by most people, but it is a term known well by commercial companies who are looking for 24/7 access to a fueling station that will accommodate their semi-truck. These stations are designed for large vehicles and are not open to the general public. PetroCard owns and operates 60 Pacific Pride and CFN cardlock facilities that are located across Washington, Oregon and Idaho. While they only own facilities in these areas, they have over 6,000 customers who use these cards nationwide throughout other accepting cardlocks or retail stations. Ever wonder how construction equipment gets fueled when it cannot leave a construction yard? PetroCard offers on-site mobile fueling to their customers where they bring their fuel truck and fill up equipment, and even semi-trucks at their customer’s yard or job-sites. By providing on-site fueling services, PetroCard’s customers can reduce their labor costs by not sending multiple people to sit and wait to access a fuel station or get fuel for equipment that cannot leave the yard. PetroCard also sells bulk fuel through unbranded and branded retail stations. They will work with station owners to provide branding through 76, Conoco, Shell and Gull in order to receive a fuel contract to service that station. Bulk fuel can also be purchased if the customer has their own fuel tank. In 2009, PetroCard teamed up with Waste Management to offer CNG to the public through their brand Clean N’ Green Fuel. Currently they have 20+ retail stations throughout the U.S. where customers with either fleet cards or a Visa/MasterCard can purchase CNG for their vehicles. The key differentiators that make PetroCard stand out from their competitors are those value-added services they provide through their detailed and custom reporting, customer service and online web access capabilities. In 2009, PetroCard was awarded the Minority Supplier Distributor of the Year from the U.S. Department of Commerce as well as the William D. Bradford Award from the University of Washington. To learn more about PetroCard, visit www.petrocard.com.